DWF’s Berlin practice will launch in April with eight lawyers, including DLA financial services partner Nina Siedler and real estate of counsel Irene Schmid, who will move to the new office following the closure. Both will be partners at DWF. As part of a deal between DLA and DWF, the latter will also take on the firm’s premises in Berlin. Former DLA partner Wolfgang Richter, who first joined DWF Germany following the firm’s merger in 2016 with BridgehouseLaw, will head the firm’s new Berlin office in the role of executive partner. A DLA spokesperson said that the firm will continue to service clients across its other four offices. 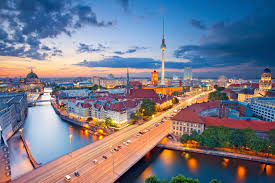 “The firm’s German practice continues to strengthen and grow, however, it has become clear that there is no longer the client demand, and therefore the need, for us to have an office in Berlin,” the spokesperson commented. Managing partner and CEO of DWF Andrew Leaitherland said: “Opening in Berlin presents a strategic opportunity in its own right, offering significant opportunities in the financial services and real estate markets, along with being a key piece of our wider international growth plans. Earlier this year, DWF launched its first office in France through a merger with four-partner Paris firm Heenan Paris. The boutique spun out of collapsed Canadian firm Heenan Blaikie in 2014 and is run by managing partner Jean-François Mercadier, who is among those joining DWF. Similarly DWF also recently launched an association with Saudi Arabian firm Harasani & Alkhamees, giving the firm offices in Riyadh and Jeddah announced nearly two years after the firm launched its first Middle East office in Dubai. The news of DLA’s Berlin office closure marks yet another loss for DLA Piper after the departure of Leeds duo Kate Payne and Vikki Massarano, who moved to ARC Pensions Law last month to head its new office in the city. Quinn Emanuel to open Perth office with former Freehills partner More Business, Less Politics.